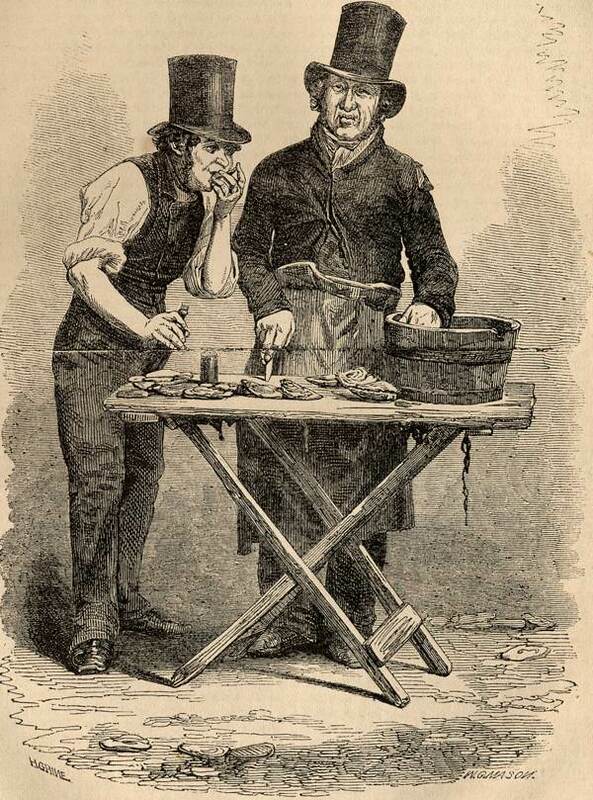 When Henry Mayhew died in 1887, one newspaper noted ‘The chief impression created in the public mind was one of surprise that he should still be alive.’ Yet nearly forty years earlier, his London Labour & the London Poor had gripped the country, confronting it with the voices of those who had been overlooked. 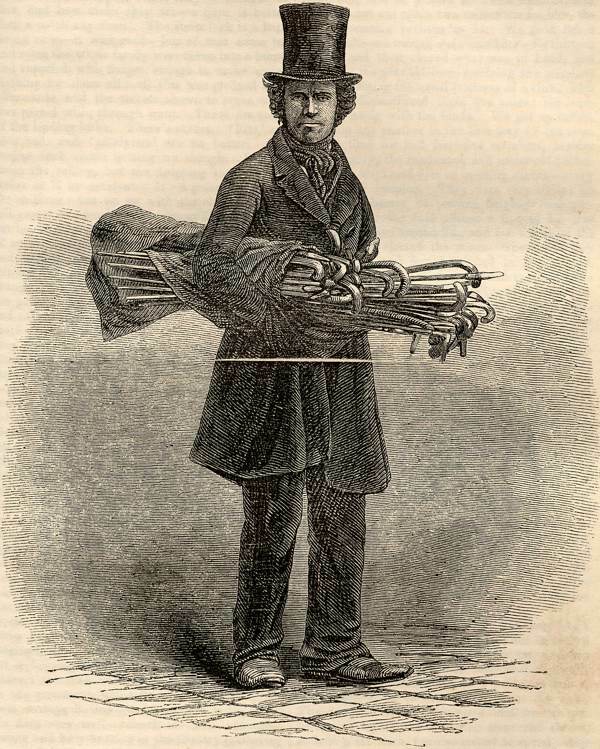 His masterwork began as a series of ‘Letters’ commissioned by The Morning Chronicle and, from 1849 onwards, these grew into a panoramic survey of London’s poorest workers, a long exposure snapshot of mid-nineteenth century life. 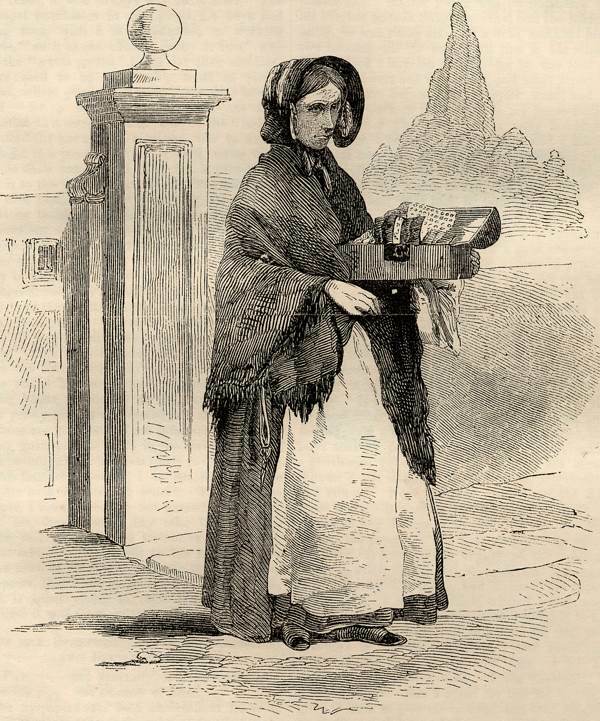 The Spitalfields silk weavers were the first group of the working poor Mayhew reported on. Descended from Huguenot refugees, their livelihood was undermined by free trade after the abolition of import tariffs on French silk. 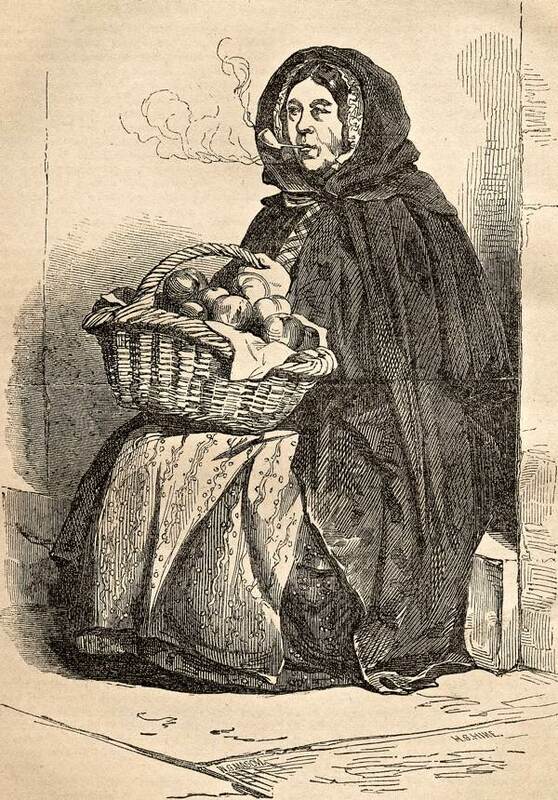 Their experience was common among many highly-skilled London workers, as their quality of life deteriorated from the early years of the century, eroded by technological and social change. Late at night, in a narrow Shoreditch street, Mayhew mounted the stairs to a top floor room and visited an old weaver, sick in bed. The weaver lived and worked in a shared top floor room, cobwebbed with sagging clothes lines, where three looms jostled among several beds. The old man asked his daughter, Tilly, to pull up a chair for Mayhew, then began his tale. (It was an exquisite piece of maroon coloured velvet. That, amidst all the squalor of the place, seemed marvellously beautiful, and it was a wonder to see it unsoiled amid all the filth that surrounded it). Mayhew formed a close bond with the Spitalfields silk weavers. Yet The Morning Chronicle fired him after a year – for asking for more work, they said – for speaking up for the workers, Mayhew said. 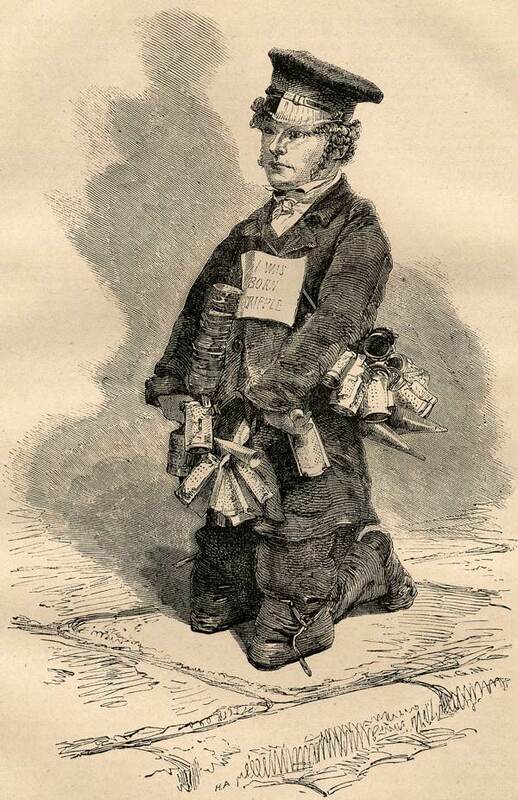 He revived the Letters as his own weekly serial, entitled London Labour & the London Poor. 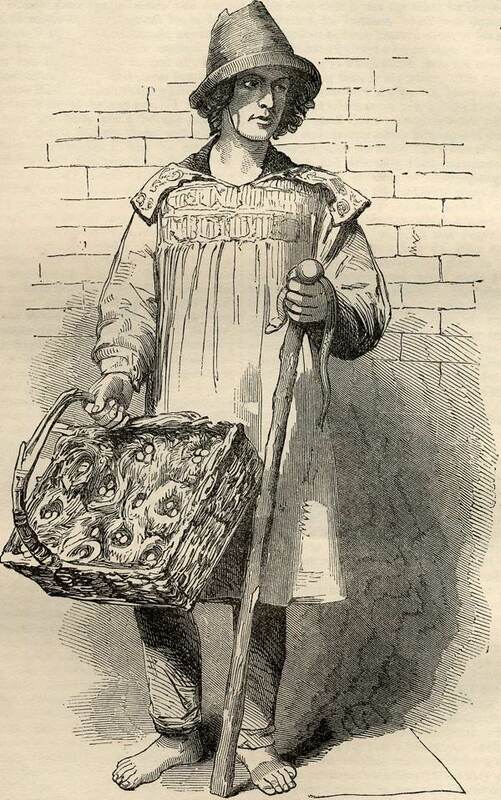 Increasingly, he focused on street folk, costers and other itinerant traders, yet he continued to support the silk weavers cause, even after London Labour ended abruptly in court over unpaid printer’s bills. On Tuesday 4th May 1852 at the school room, St John’s St, Brick Lane, The Trade Society for the Protection of Native Industry convened a mass meeting to ‘adopt resolutions condemnatory of the present unregulated and stimulated system of competition, which is reducing the working classes of this country to the continental level’. Mayhew came on stage to loud cheering. 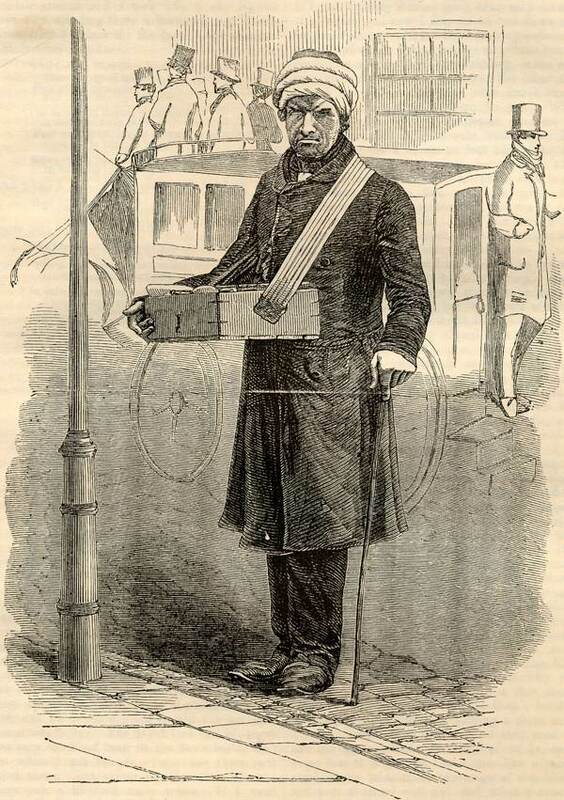 He told how he had commenced his ‘inquiries into the state of the working classes, being at the time an inveterate Free-trader’ with The Morning Chronicle, but his research among the poor had converted him to protectionism. 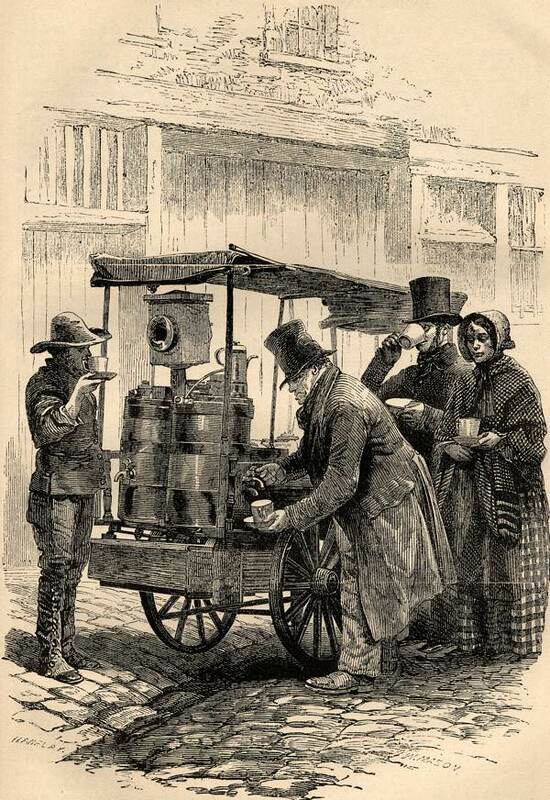 Mayhew returned to Spitalfields for a very different occasion four years later, as part of his second major series, The Great World of London. On the evening of 8th April 1856, he summoned a gathering of professional villains, the ‘Swell Mobsmen’ at the White Lion Tavern, Fashion St. Entry was by ticket only, signed by Mayhew and stating the police were barred. A hundred crooks gathered in the well-lit, comfortable room where a ‘free and easy’ atmosphere prevailed. Mayhew proposed a society to help these people to go straight. In the event, most of the Swell Mobsmen seemed appreciative but unpersuaded. 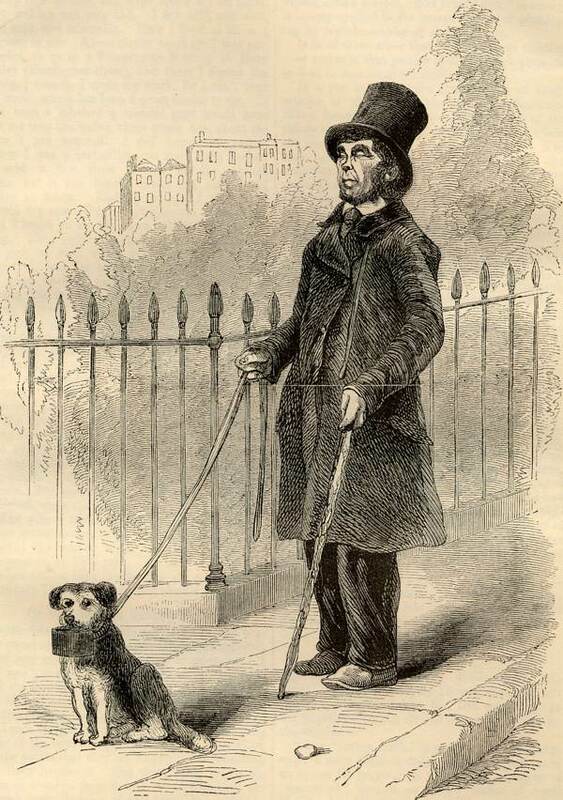 A unique exploration of working Londoners, London Labour & the London Poor influenced an entire generation of writers, Charles Dickens among them. A pioneering work of social science, criminology and oral history, it was a century ahead of its time, yet within a few years of Mayhew’s death the work was all but forgotten, along with its author. By the eighties, when London Labour & the London Poor had become established as a fixture on the reading list for courses on literature, history, criminology, culture studies and more, the Penguin edition could still open with, ‘It is strange that not more is known about the life of Henry Mayhew.’ Today, Mayhew crops up on the National Curriculum, feted as a philanthropist. 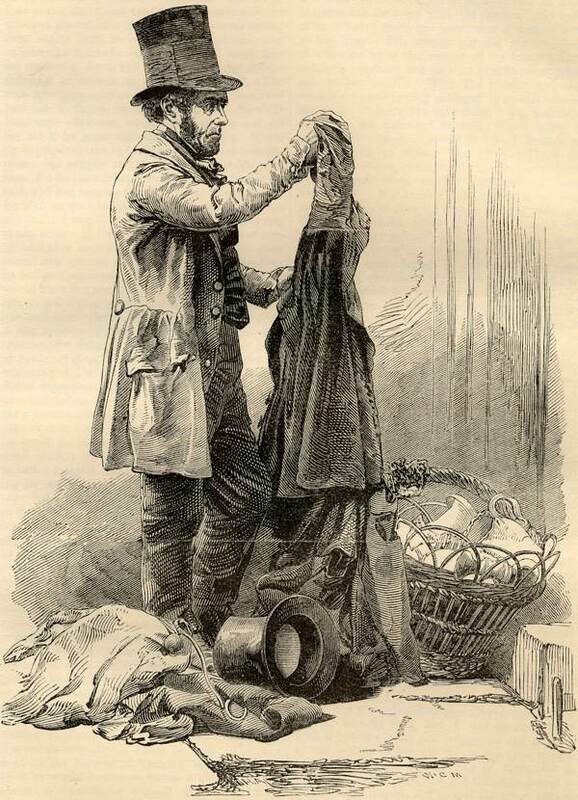 His work inspires novels and films exploring the lost world of Victorian London. Terry Pratchet dedicated his final novel, Dodger, to Mayhew. Even so, his life has remained shrouded – until now. 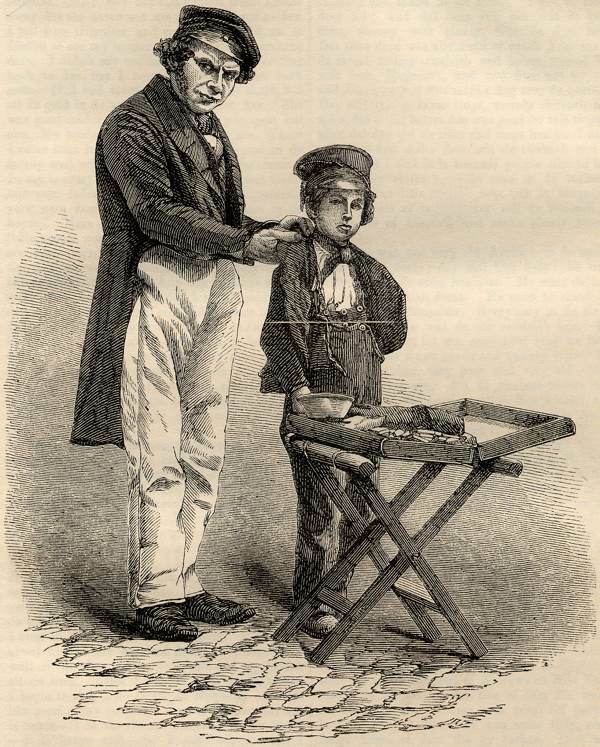 Born into a wealthy family, Mayhew’s public school years were cut short and he was shipped off to Calcutta as a midshipman. Taken on at his father’s law firm upon his return, he left when – absentmindedly – he got his father arrested. Then he became a journalist and dramatist in eighteen-thirties London, neither considered respectable occupations, crowning the decade by founding Punch. It became the most successful magazine of the century and should have set him up for life. Instead, his path led to bankruptcy and prison. He spent years in exile in Guernsey and Germany. 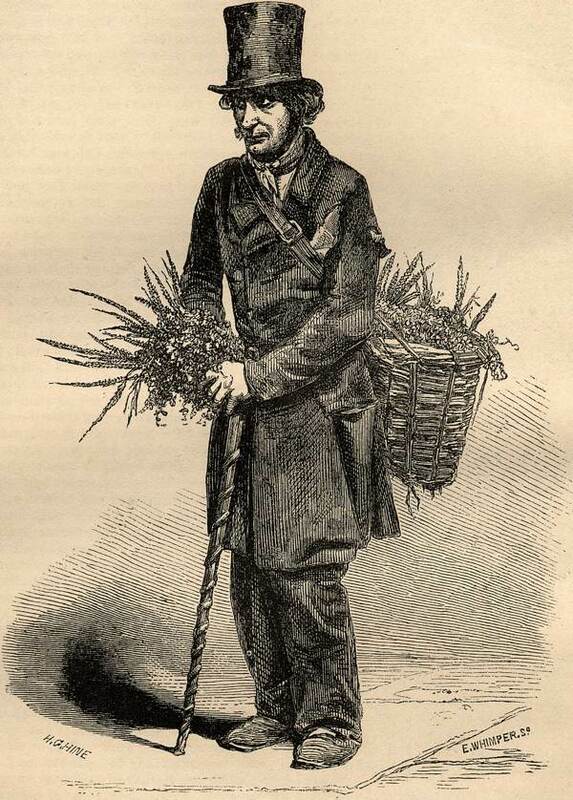 In between, he became famous for his revelations about the poor and brought out London Labour & the London Poor in 1851. He was a respected children’s author, a popular comic novelist, a criminologist who gave evidence to Parliamentary Select committees and a war correspondent. He wrote for the stage, tried to enter politics, the darling of both radicals and conservatives for attacking the liberal mantra of Free Trade. 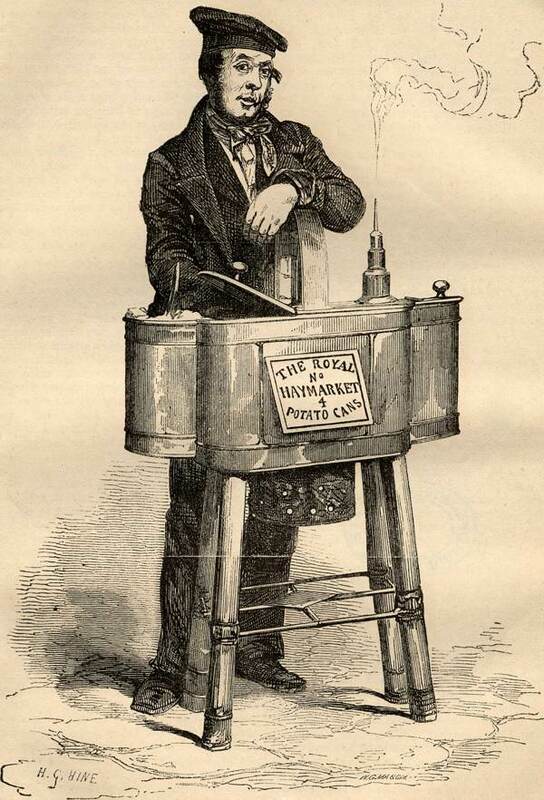 He was known as a philosopher and as a scientist, who revered his friend Michael Faraday, and sought to bring electric lighting to London decades before it arrived. Mental illness haunted him though, his periodic peaks alternating with deep troughs. 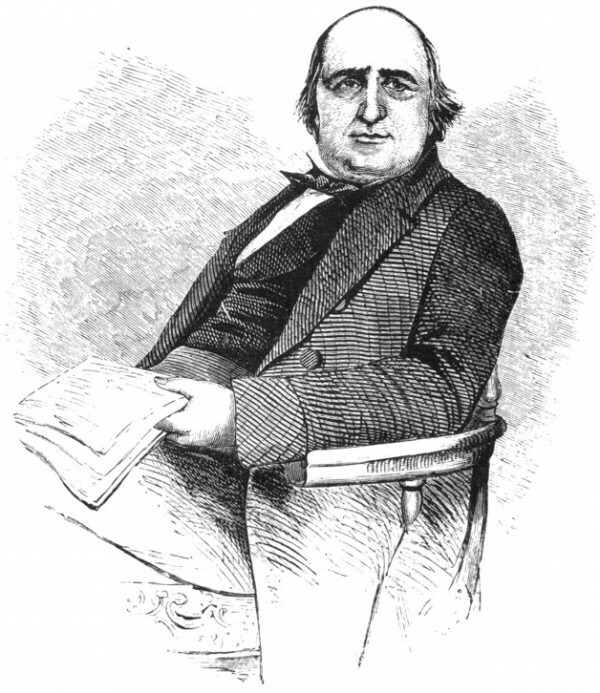 He mixed with Charles Dickens, William Makepeace Thackeray and stood at the centre of the burgeoning literary world, met with government ministers to advocate social reforms, and mingled with costers, dockers and the underworld too, keeping an open house for thieves and paroled prisoners. His closeness to some of them backfired in blackmail and death threats. His wife, Jane Jerrold, who dealt with the bailiffs for him and secretly co-wrote much of his work, left him when their children had grown up and insisted on being buried under her maiden name. Forgotten, Henry Mayhew spent his last decades moving from one Bloomsbury bedsit to another, plotting new schemes and new books, even until the very last. Fascinating post. Wonderful illustrations. I especially appreciated the “tossing the pieman” wager! Is it actually any better, now? 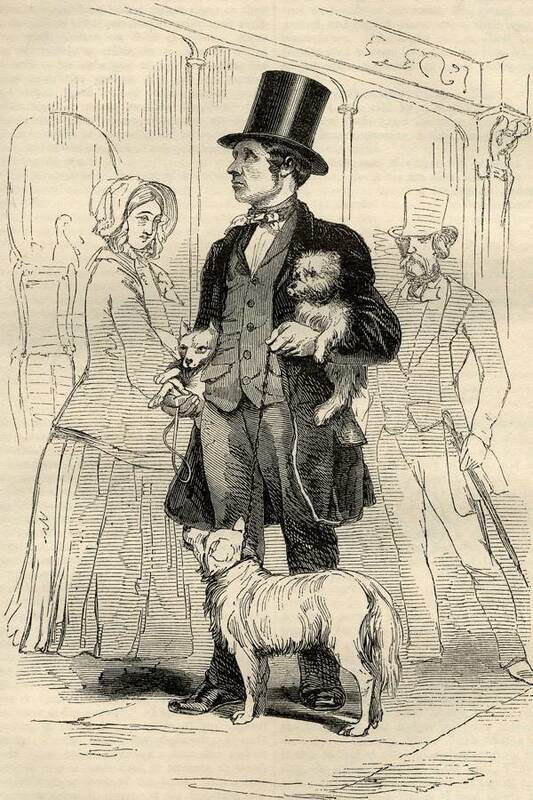 Mayhew is absolutely essential to any study of Victorian social history. His four volumes are in constant use here! 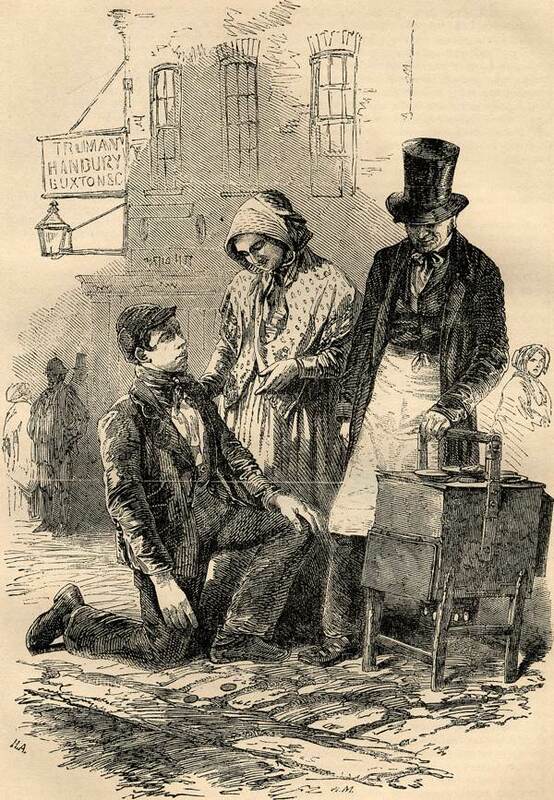 I want to tell you I have a very old copy of Mayhew’s London “Being Selections from ‘London Labour and the London Poor’’ which was first published in 1851″. I don’t know when my book was published. In pencil, on the flyleaf, it says “Mrs Beech. 2/- deposit”. I must admit I haven’t read it all, but it’s fascinating. GA, thanks for your moving tribute to Henry Mayhew. His name does ring a distant bell in British cultural history. He captured the story of his distressed subject so well while allowing them their dignity. The drawings are excellent, obviously by a number of artists with much attention to detail. I was fascinated by my Dad’s copy of Mayhew’s Characters when I was young. All of these strange looking people telling about jobs I couldn’t believe anyone would do. I think my interest in victorian London and love of the cobbled alleys and old brick buildings comes from here. London has always been more attractive for me when it’s dirty and unpolished. The honest old working class areas, old trades that have been overlooked and are almost gone now. In fact, most of the subject matter of this site.